The CONCERT CHOIR of Michigan Lutheran Seminary, Saginaw, Michigan, will present a concert of sacred songs at Amazing Grace Lutheran Church in Myrtle Beach, South Carolina on Tuesday, March 19 at 7:00 PM. The thirty-eight voice traveling singers, under the direction of Professor Leonard A. Proeber, have toured annually since 1955, with appearances in more than 30 states, Canada, and Europe. This choir, which will sing over 30 concerts during the 2018-2019 season, regularly visits congregations across our national church body in Michigan and adjoining states. There is no admission to the concert; however, since the group is self-supporting, a freewill offering will be received. The concert is open to the public. For more information about the concert, call (843) 236-9134. MICHIGAN LUTHERAN SEMINARY is a college-preparatory coeducational high school of the Wisconsin Evangelical Lutheran Synod. The school is located in Saginaw, Michigan. Its students are training to be pastors and teachers in the church. Curly head dolls that toddle and coo. Elephants, boats, and kiddie cars too. Santa Claus is comin’ to town. You’ll hear those lyrics often during the holiday season—a song about a man who’s coming to bring all sorts of gifts. But, are they really gifts? The definition of a gift is “something given voluntarily without payment or condition.” The man in red has conditions. If you give someone a gift only if they meet certain qualifications, that is not a gift. 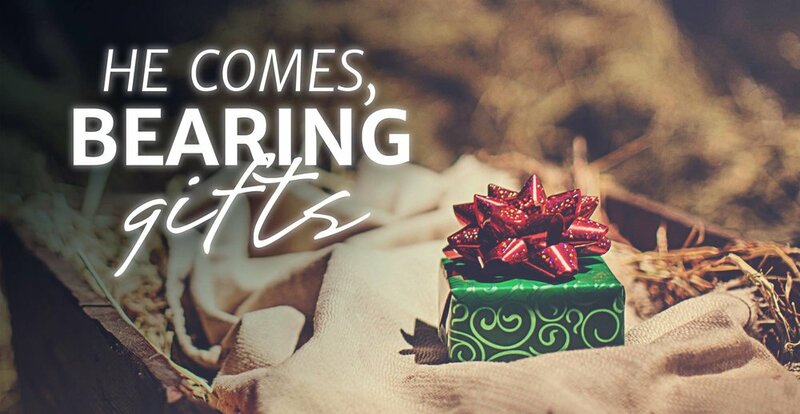 There is one who is coming, bearing real gifts, profoundly important gifts. Jesus came that first Christmas to win forgiveness and give all the gifts that come with it: hope, peace, joy, love. He is coming again at the end of this world to give you the gift of resurrection to eternal life. In the season of Advent, we connect Christ’s first coming with his second coming. We rejoice in all the unconditional gifts he gives. He is coming, bearing gifts. Let us prepare our hearts…and the hearts of others…to meet him. Twelve kids and two chaperones from Amazing Grace Lutheran enjoyed a week of faith-building, friendship-fortifying, food and fun at our South Atlantic District's Camp SOUTH. Held at the FFA FCCLA Camp Grounds in Covington, GA, nearly 400 campers and chaperones enjoyed this annual event. The Lord's Prayer…they're 60 plus words that flow from our lips. They've been spoken by millions of Christians for millennia. Sometimes we think about what we're saying when we speak these words, but sometimes we don't. 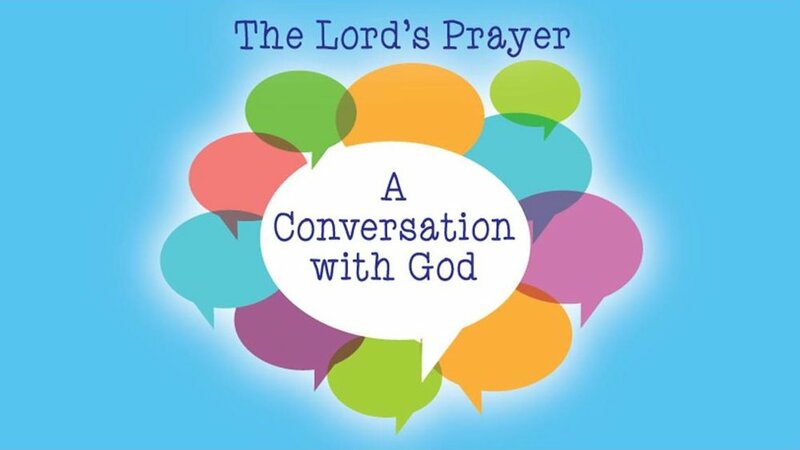 When we pray the Lord's Prayer we want to think about what we're saying. If you understand it, it really is what you want to ask with every prayer. It's just that Jesus is filling in the words. That's why this prayer has stuck around for over 2,000 years. Think for a moment of what it covers. Hallowed be your name… that God's name would be hallowed and something special in our hearts and in our lives. Your kingdom come… that he would have the last word in our homes and in our families. Your will be done… in marriages and with kids. Give us this day our daily bread… that God would give us everything we need to live each day. The list goes on. If you understand this prayer, what flows out of our mouths will come from the heart. Over the next several weeks, we're going to unpack these words and these phrases from Jesus so the next time you pray the Lord's Prayer, your lips and your heart are not far from each other. Rather, you cling to these words and can't wait to pray them. For, this prayer from Jesus is the best way to converse with God. The week from Palm Sunday to Easter Sunday has been most commonly referred to as Holy Week. Holy Week is a special time for very unholy people to, once again, experience the saving work of our holy and loving God. In fact, from the Lord's Supper in the upper room, to the Garden of Gethsemane, to the cross, to the empy tomb, this is the week where his holiness and love collide in the culmination of Jesus' saving work. According to his holiness, God demanded perfection. Therefore, Jesus suffered and died. He was punished as the sacrificial payment in our place. According to God's love, he forgave us our sins so that we would be his children. In order to prove that we stand right with God, Jesus rose from the dead. In him and through him we have eternal life, true peace, and lasting joy. Join us as we follow our Savior during this most intense week of the year. Come Easter morning, you won't regret the journey. Please pay special attention to the dates and times. We would love for you to join us! This series will take place every Wednesday and will include dinner at 6:00PM and a devotional service at 6:45PM. We've all heard it. We've all said it. However, have you sensed when asked that question or when you ask that question, the increasingly common response is: "Busy!" In our 24/7/365 world, no one even dares question such an answer. Who isn't busy? Who of us hasn't felt the pinch of more demands than we have time? Who of us hasn't wished we could find some sort of way to be less busy? This three-week study is designed with that ambitious goal in mind! The series is designed to help you discover the spiritual dangers of busyness, apply God's Word to this intensely practical issue, and in the process refresh your soul. Join us Sunday, January 8th at 9:15 as we begin the New Year slowing down with God in the lead! While the world around us becomes obsessed with what's "coming soon" (whether that’s a real physical place or somewhere in cyberspace), the Christian Church turns its attention to what God has "coming soon" for the world and its people. By revealing to us everything about the future that he wants us to know, God also helps us get ready for what he has planned. In this series we will find joy and peace in the promises of God that he will uphold us and carry us, that he will be our sunshine through the last dark days of this world and that, in the end, a true paradise awaits us. “When these things begin to take place, stand up and lift up your heads, because your redemption is drawing near” (Luke 21:28). We all worship. We all worship something/someone every day. Functionally, these are our gods. While many people consider idolatry to be the primitive practice of ancient Near East cultures or even modern tribal peoples, the reality is that idolatry is as much or more an issue today in the Western world as it has ever been in any corner of the planet. In fact, one could argue that the idolatry practiced today in the United States is more embarrassing and more dangerous than bowing down to little carved images because we don’t even realize we’re guilty of it. God did not design or make us for idolatry. Rather, God built us for God. As God gives us trust in him and lets our lives serve and worship him, it’s a great blessing to us and others. Join us this weekend as we begin a new Bible Study series entitled Idols We Never Knew We Had. We meet at 9:15 am! Amazing Grace Lutheran Preschool is ready to welcome the first class through its doors on Monday, August 29, 2016. The staff has been busy putting the final touches on the room to welcome the 3 and 4 year-old students. We look forward to a fun-filled year of learning, growing, and developing. Amazing Grace Lutheran Church is pleased to offer a single 3&4 year old preschool program for the 2016-2017 school year. Amazing Grace Lutheran Preschool is a preschool for learning and for life. We provide your child with a Christ-centered and quality educational experience. Yet, academic growth is not the only aim of Amazing Grace Lutheran Preschool – we also strive to give each child an opportunity to grow in self-confidence, in concern and respect for others, in cooperation, and in a spirit of sharing. Tours are available by request where you can learn more about the school. The program runs Monday, Wednesday, and Thursday from 8:30 - 11:30 AM. With the women we’ve traveled along with Jesus through his Passion and watched as his lifeless body was laid in the tomb. But the final trip to the tomb doesn’t reveal the finality of death over us. Rather, with glorious vividness, it demonstrates Christ’s triumph over death. What a change! No doubt the women were confused and wonder what happened. They came with tear soaked eyes to view his dead Teacher one more time. But the power of the resurrection opened their eyes to see with vivid clarity, Jesus meant what he promised! Death has been swallowed up in victory; Christ has risen just as he said! Death no longer has mastery over us! Easter means that through Christ death brings forth new life! During this season of Easter, our worship follows this path.